John Basilone is a well-known and beloved American figure. His niece, Kim Van Note, is the current President of the Basilone Memorial Foundation. In addition to all the good work she already does, now she’s taking on the task of organizing a charity run. 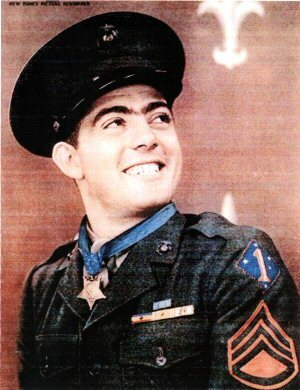 Born in Buffalo, New York, on 4 November 1916, John Basilone was the sixth of ten children. After dropping out of school at 15 years old, he worked as a golf caddy before enlisting in July 1934. He completed his three-year enlistment in the Philippines, during which time he proved himself a championship boxer. After he was released from active duty, he returned home and worked as a truck driver. However, he wanted to go back to Manila, and decided to join the Marines. He was sent to the Solomon Islands as a member of “D” company, 1st Battalion, 7th Marines, 1st Marine Division. During the Battle of Henderson’s Field in October 1942, Basilone’s unit faced a devastating frontal attack from the Japanese. 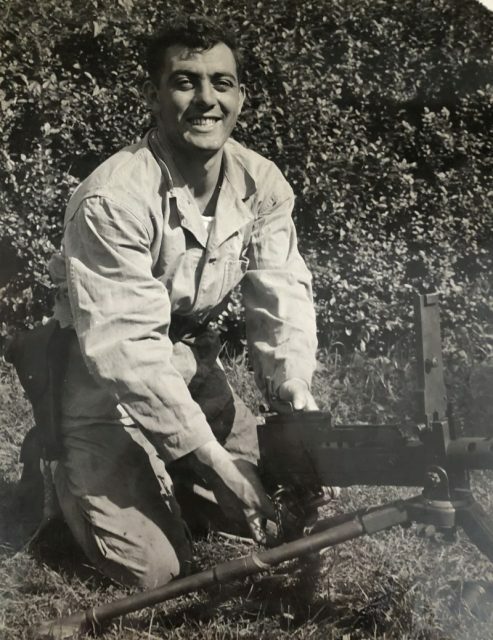 During this attack, Basilone not only moved an extra gun into position to help repel the Japanese forces, he also repaired and manned another gun to hold out until reinforcements arrived. As the battle dragged on, ammunition became low, but Basilone fought through hostile ground to retrieve supplies. When the ammunition ran out completely, he continued to fight with a pistol and machete. For such valor, he was awarded the Medal of Honor. In 1943, Basilone returned to the United States and participated in war bond tours. He repeatedly requested to return to the operating forces, but he was seen to be too great an asset on the home front. Finally, his request was granted and he was sent to Camp Pendleton, California for training. It was here that he met his future wife, Lena Mae Riggi, a sergeant in the Marine Corps Women’s Reserve. Basilone was assigned to “C” Company, 1st Battalion, 27th Marine Regiment, 5th Marine Division. Again, he showed extraordinary heroism at the Battle of Iwo Jima, where he single-handedly destroyed a Japanese strongpoint that had pinned down his unit. He also aided in recovering a tank trapped in an enemy mine field. It was during this brave manoeuvre that he was killed. He was posthumously awarded the Navy Cross. John’s family created the Basilone Foundation in his memory. The Foundation works hard to support those who have served and now suffer from PTSD. It raises both awareness and funds to support proper treatment programs. Members of the Foundation run and attend various events, including taking part in the Veterans Yoga Project and raising funds to create a documentary film about John’s life. 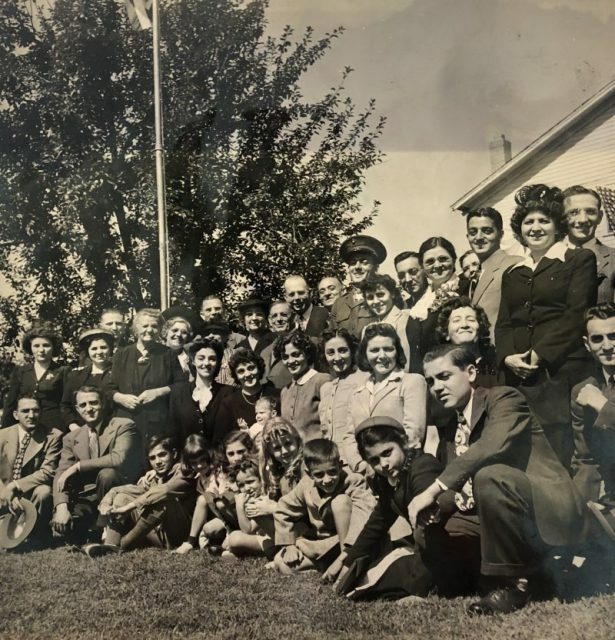 They also attend the annual John Basilone Memorial Parade in his hometown of Raritan, which this year takes place on Sunday 23 September 2018. 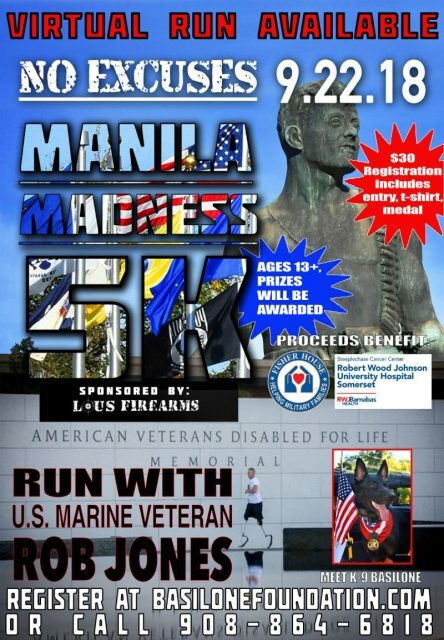 Now the Foundation is organizing the Manila Madness 5K Race for Charity. All proceeds raised will go to supporting the work of the Robert Wood Johnson University Hospital Steeplechase Cancer Center, RWJ Barnabas Health, and the Fischer House Foundation for Veterans. Wilde Photo 2018, John Basilione Statue in Raritan, New Jersey. Dig out those running shoes! The run takes place at 10:00 on 22 September 2018. 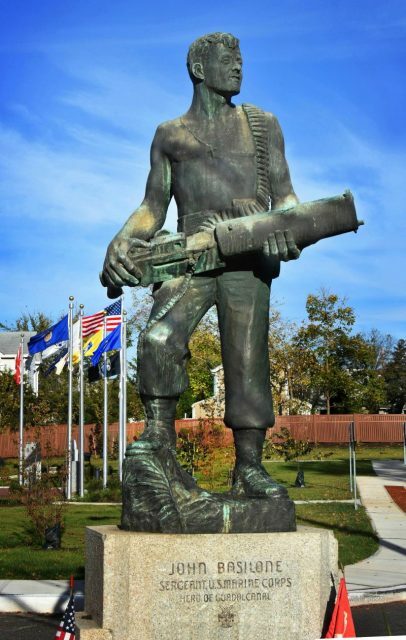 It starts at the John Basilone Statue in Raritan, New Jersey, from where it will follow a historic route through the town. The race will be officially timed by CompuScore. Tickets are $32.49 from Eventbrite, but the fee includes both a T-Shirt and a medal, which will be given out on the day. In addition, awards will be presented to the top three overall male and top three overall female winners. Can’t make it? Not a problem. 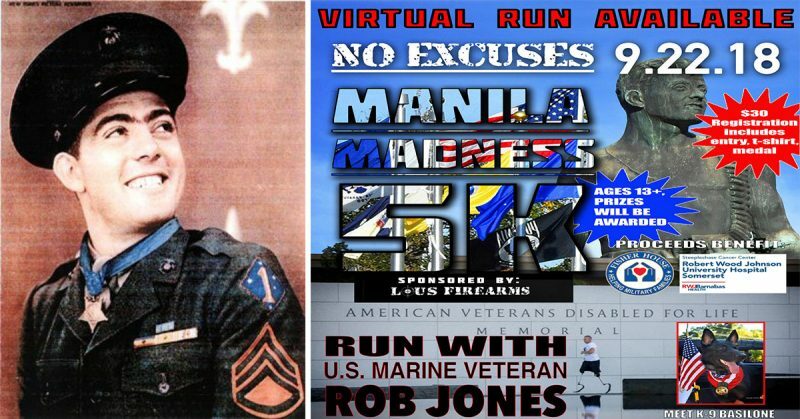 Virtual run tickets are available as well, which also include a T-Shirt and Medal (to be mailed out to you). So get those shoes on, go support some great charities, and honor the memory of one of America’s most beloved military heroes.